My paralegal Cat found this flowchart online recently at the Riverside County Superior Court website. It shows the decision-making structure that parties to a divorce generally follow while going through their divorce. I highly recommend looking at this to help demystify the process. This is an interesting development that has me wondering about career longevity. Half of Americans older than 18 were married in 2014, down from 72 percent in 1960, according to the Pew Research Center. The shift is more pronounced for the less educated, which is a loose proxy for income: As of 2014, almost 75 percent of women with bachelor’s degrees were married by their early 40s, versus less than 60 percent of women with only a high-school diploma, according to the Brookings Institution. 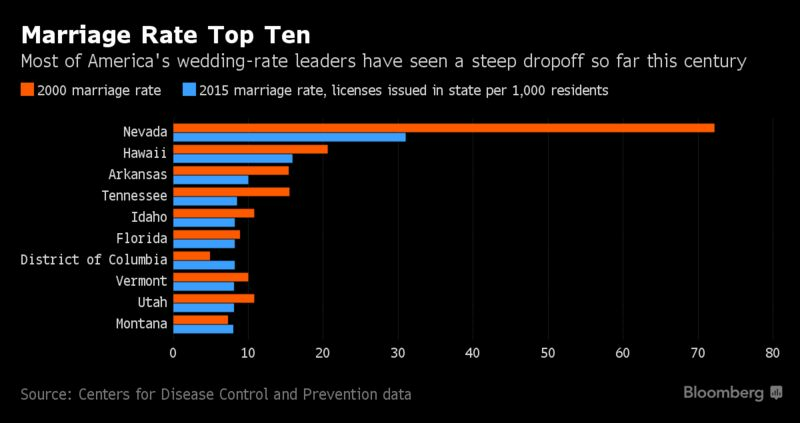 Due to a steep decline in the number of marriage since 2000, even the undisputed wedding capital of the Western United States (even my parents were married there!) is now seeing a decline in the number of weddings!